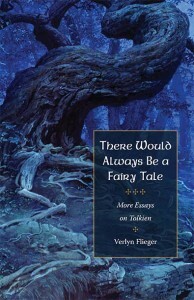 AuthorVerlyn Flieger’s books on Tolkien include Splintered Light, A Question of Time, Interrupted Music, and Green Suns and Faërie (all published by The Kent State University Press); an edition of his short story Smith of Wootton Major; and most recently his earliest short story, The Story of Kullervo. With Carl Hostetter she edited Tolkien’s Legendarium and with Douglas A. Anderson Tolkien’s essay On Fairy-stories. With David Bratman and Michael D. C. Drout she edits the yearly journal Tolkien Studies. Her edition of Tolkien’s poem The Lay of Aotrou and Itroun is forthcoming in November 2016. She has published two fantasy novels, Pig Tale and The Inn at Corbies’ Caww; an Arthurian novella, “Avilion,” in The Doom of Camelot; and two short stories, “Green Hill Country,” in Seekers of Dreams, and “Igraine at Tintagel,” in Amazing Graces.